Just came on to post the same listing, very nice. Have emailed / texted BMC Paul. If it's sound I don't think it will be around for long! I'd already had a text back from Paul saying he knows the car and thinks the price is too high. 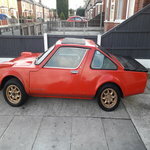 The seller does mention some of the structural work that was undertaken in the restoration and in fairness you'd be pretty unlikely to find one that hasn't had some welding or body repairs, it all depends on whether the work has been done competently. I said I didn't think it would be around for long, already sold! Yes been to look at this.. they have fiited front inner wing trumpets with out taking the wings off.. this is impossible to do correctly wothout the removal of the wings.. everything can be put right but would end up a money pit how ever rare they are now.. hope the new owner is happy. Sadly i no where to look and where they go and it wasnt for me.. Here's THE £12K GT for £12K. p.s. Your 'wanted' ad on the 1100 Club website has expired. It is a pretty good price, that car looks as though it's got potential as a rolling restoration, i.e. could be driven and slowly improved. The paint colour looks very vibrant and it's quite glossy, (compare with engine bay paint), and there are dark blemishes around the sidestrips and to the edge of the front valance, it looks to me as though the car has had a respray in recent history but they've sprayed over rusty panels so that rust is going to come popping through everywhere. Even if I'm right the price is still fair; it's a great colour, low mileage and the interior looks to be in particularly nice condition. 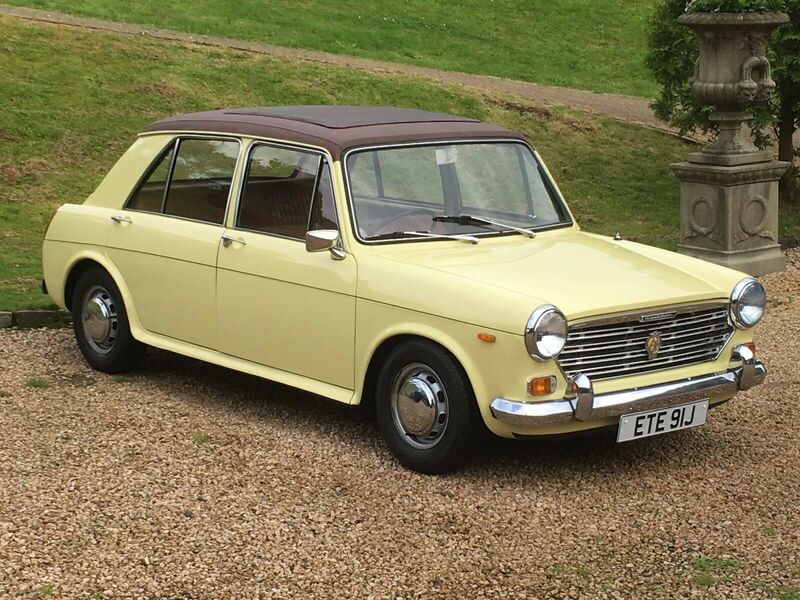 Someone has been trying to sell one on ebay for months at £2.5K which is an absolutely trashed heap of rust. The fact that the white GT has sold so quickly at £12K suggests to me that he could probably have tried it on at £14K and if there is a Concours 1300 GT out there anywhere the value is likely to be in the £15K-£20K range. you asked for gt i found one for ye , 3k in good nick with mint interior chrome .all bits present . probally fresh paint in last 4 5 years , they all have , did ye ring and ask about . i only put it up for you to see , and enquire about , yes engine bay hasn t been painted most are nt lots of work to do . Not sure if you misunderstood my post, as I say it appears to be a fair price for what it is. I think this is the same car? Now at £11K! Just a 1300, NOT a 1300GT but looks like a decent one and, unusually, has a full length sunroof which would have been an expensive fitment. Looks to have had a colour change in recent history? Engine & ancillaries have surface corrosion but this, at least, suggests that it's never had any top end oil leaks. A few miles South-East of Glasgow. £6.5K. Austin 1300 GT just listed on ebay as an auction, £3K starting price, no bids yet. Not the best I've seen but very far from the worst, might go for reasonable money. Latest spot above this post.